We totally understand how important your rugs are to you because they’re just as important to us too. Rugs can transform any room, making it look and feel warm and cosy. Often they’re the focal point of a room and are carefully chosen according to their shape, size, colour, and texture to perfectly complement the décor and furniture. Rugs are especially important if you don’t have carpeting throughout your home since they add warmth underfoot and even when your home is fully carpeted, they serve to protect your carpets from areas where footfall is heavy. That said, how do you maintain the appearance of your rugs? How can you prolong its beauty and durability over the years? Dirty rugs don’t just look unsightly they can harbour all manner of dirt, dust, allergens, germs, bacteria, pet hair, food particles, pet dander, and even small bugs. All of these things can be harmful to health, especially children and seniors. 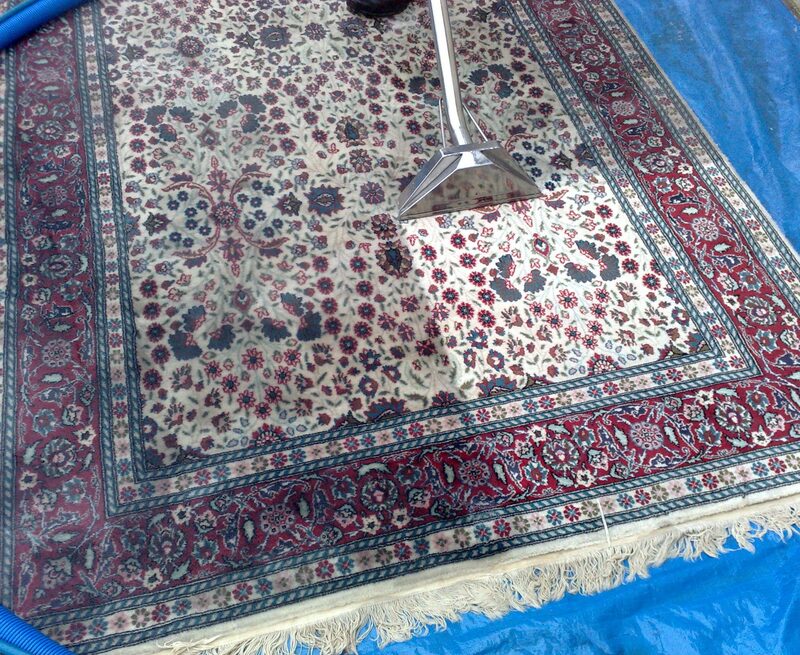 So let’s take a closer look at the importance of having your rugs cleaned on a regular basis. We’ve mentioned the array of things that can find their way into your carpet and as well as being harmful to your health, they can also damage your rugs. Liquid spills, small particles of grit, trodden in dirt from the bottom of shoes, can all get embedded deep down inside the carpet fibres making it look dirty and flat. Even sunlight coming through the windows can noticeably cause your rugs to fade. Vacuum – You most likely know that your carpets should be vacuumed regularly, at least once a week, but more often is better; but what about your rugs, do you remember to vacuum these at the same time? 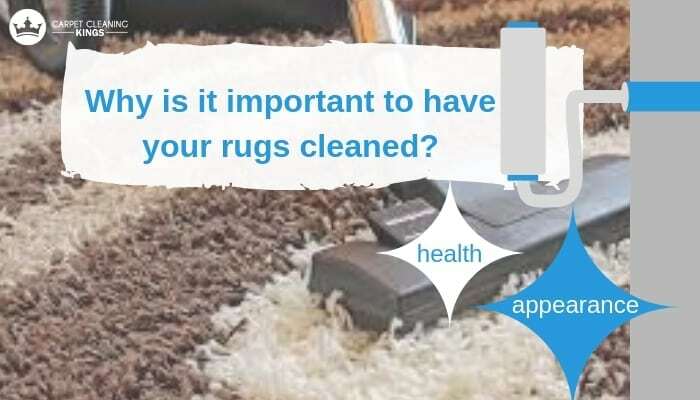 Vacuuming is the best way to extend the life of your rugs since it removes surface soil and dirt before it gets trodden in and damages the carpet fibres. Since rugs take the brunt of any dirt carried into the house, try vacuuming them on a daily basis. Shoes off – We’re always telling people to adopt a no shoe policy if they want their carpets and rugs to stay looking good for longer and it’s for a reason. All sorts of things get carried in on the bottom of shoes including chewing gum, dirt and dust, waste from outside, germs, and much more. Professional help – A professional clean of your rugs at least once a year will benefit your area rugs as well as your carpets. As professionals, we have the more powerful equipment and the know-how and chemicals to get rid of hard to remove stains. We’ll bring the sparkle back to your rugs and help you love them again. To make a booking or request a quote get in touch with Carpet Cleaning Kings by calling 1300 7000 75 or filling out the contact form.